A forty-two year history of custom upfit experience gives us industry knowledge that launches us far ahead of other service, fleet van and truck, and bus and van suppliers. We offer the most diverse product line of minivans, vans, buses, and ADA vehicles to fit your needs and keep your business ahead of the competition. 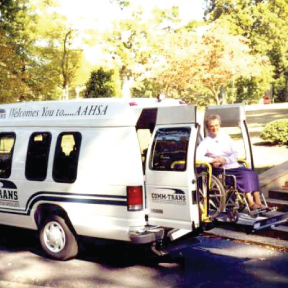 CommTrans Midsouth specializes in hotel shuttle vans, wheelchair vehicles for retirement communities, service vans and trucks for fleets, and buses and vans for churches in Memphis and surrounding areas. At CommTrans Midsouth, we strive to deliver the best buses and vans at the best price. But we don’t stop there. Great customer service is an integral part of how we do business, and taking care of our customers is what sets us apart from bus and van dealerships. We are a full service bus and van center, offering financing options as well as repair and service of your commercial vehicle. Give us a call and find out why we are the Midsouth’s Bus & Van Center. 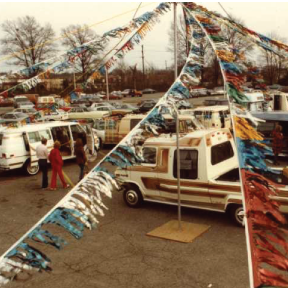 1974: Sully Vans is created in Memphis, TN. 1978: We answer our customer’s requests for wheelchair accessible vehicles. 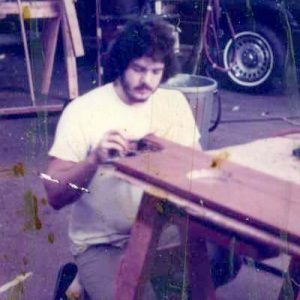 1981: We open a service department, headed by Trent Daniel, who is still part of the CommTrans family. 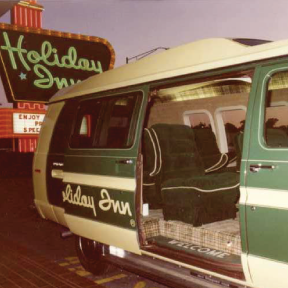 1984: Our first upscale hotel van is customized for a Holiday Inn.